Pop's Farm Market and Garden Center in Monroe Township, New Jersey Is a family-owned-and -operated farm and garden center for all seasons. Shop for freshly picked produce and flowers. 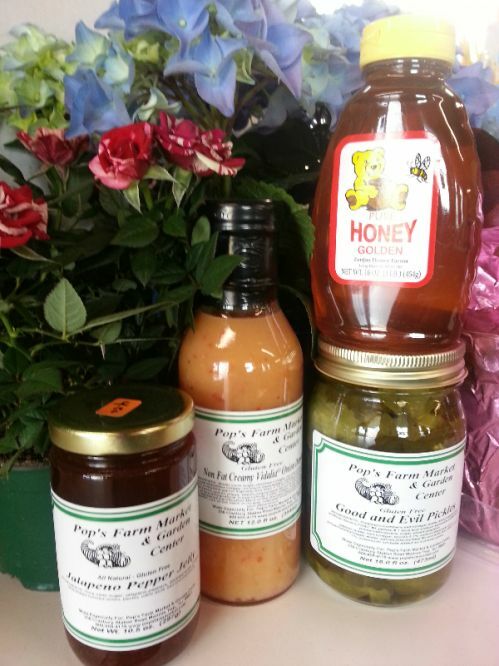 We also carry honey, jams and dressings. With three generations of more than 20 years experience, you can place your full confidence in our ability to provide you with fresh homegrown produce and quality flowers & plants. We do the growing and the picking so you can rest assured you are getting the best quality.